Changes in international positions towards the Houthis are increasing according to several factors: an increase in the humanitarian crisis in Yemen; the targeting of Saudi cities with Houthi ballistic missiles that have recently reached Riyadh; the international discontent with Iran and the brutal killing of former Yemeni president Ali Abdullah Saleh (according to the American expression). The US position has witnessed a dramatic change since the new administration came to the White House. Yemen was the scene of the US changes in the Middle East. In 2017, Washington committed itself to support its allies and return relations after being affected during the Obama administration. The visit of James Mattis, US Secretary of Defense, to Riyadh in April 2017 and the displaying of US evidence that Iran is involved in arming the Houthis in a US military base outside Washington (December 2017) highlighted the above-mentioned changes toward Iran and the Houthis. The factors above contribute to the US push toward the liberation of Hodeidah (west of Yemen) from the Houthis after the UN efforts failed to convince the Houthi group of its plan. The killing of former Yemeni President Ali Abdullah Saleh affected Russia that announced the withdrawal of its diplomatic mission from Sana'a and the transfer of its mission to Riyadh, which means less restrictions on US efforts to go ahead in its orientation in Yemen. The confrontation of Houthis in Yemen will achieve a lot of Trump’s program, including the: stopping of Iran's tools, fighting al-Qaeda, making stability in the Middle East, stopping the deterioration of the humanitarian situation in Yemen; restoring the confidence of old allies, Gulf states. These gains will be obtained without high costs. The new US administration has changed its way of dealing with Yemen after the increasing of the Iranian influence and terrorist groups in the country. Washington is taking advantage of these concerns for more progressive action in supporting its allies and the legitimate authority, represented by Yemeni President AbdRabbo Mansour Hadi. Yemen has been the focus of meetings of Western politicians and military figures with leaders in the Middle East, specifically the Gulf Cooperation Council countries. The meetings that US Secretary of Defense, James Mattis, held in the Gulf states in April 2017, specifically Saudi Arabia, were an announcement of the new US change. The lack of seriousness of Houthis in dealing with the peace agreements; the worsening humanitarian crisis and the arrival of ballistic missiles to Riyadh contributed to an American emphasis on the need to continue to face the Iranian threat from Yemen. Americans seem to be more convinced than ever that taking Iran out of Yemen will lead to a lasting peace in a country that has been suffering from a waging war since more than two years. In mid-December 2017, the United States presented in Washington for the first time Houthi missiles that were fired at Riyadh as a sufficient evidence of Iran's involvement in arming the Houthis. The evidence included charred remnants of what the Pentagon said were Iranian-made short-range ballistic missiles fired from Yemen on November 4 at King Khalid International Airport outside the Saudi capital Riyadh as well as a drone and anti-tank weapon recovered in Yemen by the Saudis (). Although the Pentagon did not say when or how the weapons were transferred to the Houthis from Tehran (which denied the evidence and said it was fabricated), US Ambassador to the United Nations Nikki Haley expressed confidence that Tehran was responsible for transporting these weapons to the Houthis in Yemen. “These are Iranian made, these are Iranian sent, and these were Iranian given,” Haley told a news conference at a military hangar at Joint Base Anacostia-Bolling, outside Washington. The Pentagon said that Saudi Arabia and the United Arab Emirates provided the United States with all the remnants of weapons that were recovered. The Saudi-led military coalition, which back the internationally recognized Yemeni government, has been fighting the Houthis in Yemen’s more than two-year-long civil war. The unprecedented presentation, which Haley said based on intelligence, is part of President Donald Trump’s new Iran policy, which promises a harder line toward Tehran. That would appear to include a new diplomatic initiative. This American shift through displaying the anti-Iran evidence in a press conference was that second shift as the first one was in April 2017 when the US Secretary of Defense ended two days of talks in the Saudi capital Riyadh with senior officials including the king, crown crown prince Mohammed bin Salman. The delegation that came with Mattis included correspondents from US newspapers. He told them clearly that he looks forward to ending the war in Yemen through peaceful talks sponsored by the United Nations, but during his comments with Prince Mohammed bin Salman after the meetings he told reporters that in order to reach to the peaceful talks "Iranian influence in Yemen should be countered." The speech of the new US administration has changed from the speech during the last years of the administration of President Barack Obama. Saudi-American relations have been strained since Riyadh has led an Arab coalition to support Yemen's legitimacy in March 2015. Although the United States has declared its support for military operations with logistics and intelligence, but the US support gradually decreased sequentially or almost stopped with the cessation of arms shipments that Saudi Arabia had bought from Washington. Donald Trump returned those shipments of smart and guided bombs to be shipped back to Saudi Arabia. The United States and Saudi Arabia appear to be closely correlated according to geopolitical changes in the United States and in Yemen as well. Mattis faced pressure to stop the logistical support for the coalition in the Yemeni war - including the Congress and international organizations- by talking about training the Saudi air force to prevent mistakes against civilians. 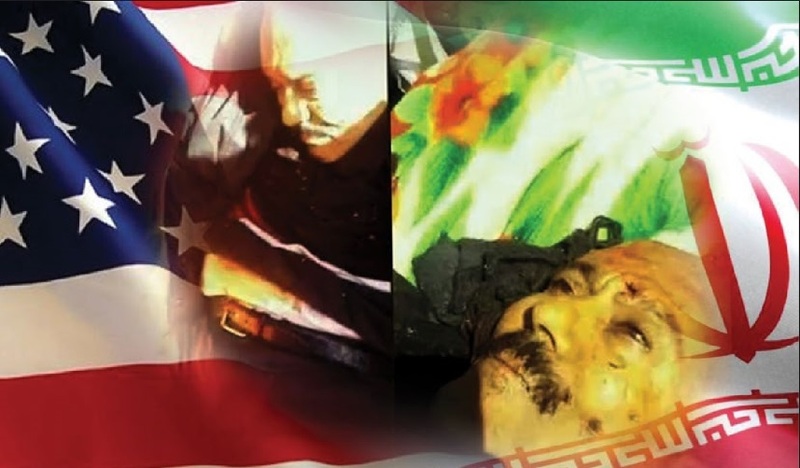 This US-Saudi convergence and these steps are the result of the efforts of Matisse, who is a big opponent of Iran. In March 2017, he sent a letter to the National Security Adviser McMaster proposing to provide significant military assistance not only to Saudi Arabia but also to the UAE. What is happening is the new administration, which has seen how Tehran's continued involvement in the affairs of states in the region had bad effects. The assisting of the Arab coalition forces will be an unprecedented opportunity to crush al-Qaeda in the Arabian Peninsula (AQAP) that is based in southern Yemen. AQAP represents a regional and international threat. The US Administration has confirmed that the Al-Qaeda organization threatens Americans at home as well as European countries, especially after Al-Qaeda attacks on American interests since the nineties of the last century. Unlike their intervention in Syria and Iraq, the intervention of America and its allies in Yemen represents a confrontation with Iran to stop Iran’s plans in Middle East that threaten the Gulf States. The intervention in Syria and Iraq collides with Russia and China, and the complexities of Iraq and the early intervention of Iran will not allow the suspension of the Iranian methodology it used with the armed militias. The situation is the same for Lebanon. Yemen is not central to Russia and China and the governments of the two countries fully support the legitimacy of the Yemeni president (Abd Rabbo Mansour Hadi), but this cannot be free of some complications. The instability in Yemen is a source of concern for its neighbors, who represent the United States’ allies. So by ending the insecurity in Yemen that threatens regional and international security, Washington can restore the confidence of its allies and alliances as the US alliances were mistrusted after the Obama’s administration abandoned its agreements. US forces do not recognize the presence of special forces in Yemen, except those conducting military operations similar to the operation that targeted the village of Yakla in Al-Bayda in central Yemen on 29 January 2017,() but it confirms the presence of military advisers either in the operating room of the Arab Coalition or through the US Central Command for the Middle East. The consolidation of the return of the Yemeni state with a strong army and with the support from the Arab coalition countries reinforces the vision of the new American administration about not sending new troops to the conflict areas. (E) Restoring stability to Yemen sends international and regional optimism to the new American administration: This is reflected in the files that were suspended during the Barack Obama’s administration. A strong US return to the region would help restore Washington's influence which has receded slightly in the Middle East under the Obama administration, which led to a disruption of balance and the emergence of new players who have fueled conflicts. The United States does not have the intention to send military troops to Yemen to confront the Houthi insurgents. Trump will have to settle many differences within it if it decides to intervene directly. It is difficult for any US troops to exist on the ground after the killing of the American officer in the military operation in “Yakla." The Trump administration faces a campaign inside the US Congress to stop any US aid to the Gulf in the process. These pressures, along with media that do not like Trump’s policies yet, will not dissuade the US administration from helping its allies but will eventually yield to the necessity of the US support for allies to help them liberate the port of Hodeidah, western Yemen, that is still under the control of the Houthis. In March 2017, the US Secretary of Defense, James Matisse, submitted a request to the White House to support for Saudi Arabia and the United Arab Emirates to liberate Hodeidah port from the Houthis - a request that Abu Dhabi had made in mid-2016 but the Obama administration ignored – the matter that was delayed due to a UN road map in April 2017 for a neutral third authority to run Hodeidah port. Regional fears of a humanitarian crisis in Yemen have already prevented a military operation (at least from a possible perspective) but now that the former Yemeni president has been killed by his Houthi allies early in December 2017, and the exposure of the political cover of the Houthis make the opportunity for political consultations almost absent and put the military solution in the forefront. The United States of America will intervene in Yemen as a support to its allies to counter the Iranian expansion and reach comprehensive negotiations between the parties of conflict in Yemen to find a political solution for the crisis in the country in order to fight terrorism. The liberation of the port of Hodeidah from the Houthis will be an opportunity to stop the humanitarian crisis in the country and dry the funding resources for the Houthis as the strategic port receives 80 percent of the country's imports. (E) Increasing imports of modern weapons (including guided bombs). The US confrontation against the Houthis is the first intervention of its kind against a pro-Iran militia. Certainly, this intervention will have its expected repercussions internationally and regionally, but the presence of Saudi Arabia as a soft power and the biggest influential in the Middle East alongside the UAE will ease that reaction. First: King Salman's visit to Moscow in October, the first visit by a Saudi monarch to Russia. Second: In July, Moscow agreed to appoint a Yemeni ambassador from the leadership of President AbdRabbo Mansour Hadi. The first time Russia has agreed to change the ambassador since 2011. Third: Moscow tries to work seriously with the media and the King Salman Relief Center to promote the Saudi point of view. During 2017, a delegation from Moscow visited the center two times, in April and in December. Fourth: the killing of the former Yemeni president and the full control of the Houthis prompted the rest of the Russian mission in Sana'a to leave; which means a new chapter of Russian policy in Yemen. Therefore, it is the task of Riyadh and Abu Dhabi to prevent a possible clash between Moscow and Washington in Yemen, or at least to neutralize Russia in the Yemeni file. In addition, more US involvement in Yemen's military conflict is a sign of more hostile stance by the United States against Iran. The White House escalation of action against Iran-backed rebels in Yemen is part of a wider plan to confront Tehran by targeting its allies in the Gulf states. Yemen, for Trump's administration, is the first battlefield with Iran. As a result of the disappearance or stagnation of the Iranian papers in Syria and Iraq, Iran will pay to win the upcoming battle of Hodeidah, but without any international benefit. The Iranian attempt and its international clamor will be diminished by Russia's silence about the American assistance to the liberation of the Hodeidah port. Iran will lose an important outlet for crossing arms and experts through Hodeidah port that is controlled by the Houthis. Iran does not have the strength to support the Houthis. Despite the Iranian desire to increase military and training support for the Houthis to the highest levels, several geopolitical and international factors hamper its work except some rare and limited opportunities that Iran could exploit. EU countries will stand by Britain in supporting the liberation of Hodeidah port for humanitarian reasons and to secure their interests in Yemen. The EU countries have the same concerns about the impact of the Houthis on international shipping via rocket attacks on ships from the Red Sea coast, suicide bombers and large-scale naval mines. The oil trade across the Red Sea feeds most of these countries, so securing this important international corridor is a strategic priority for European governments as well as for China. Like the Americans, the Europeans believe that securing the shipping line with support from Arab forces (within the framework of the Red Sea Security Agreements) and the United States secures this line and does not prolong the conflict that may extend to their strategic interests. Despite the expected American support, the future scenarios regarding the future of the Houthi movement are closed. Americans do not want to uproot this movement, which they believe is national, not sectarian, and they may contribute to imposing a political solution on all sides to prevent the fall of the capital Sana'a militarily in the hands of the government forces and the Arab coalition. But time is the most influential indicator as signs of the military deterioration of the Houthis since they lost the political and social cover after killing former president Ali Saleh has become remarkable. The world may be surprised with a different Yemeni situation in any morning of 2018. Yemen is a country of moving sand that does not stop. The military operation in Yakla killed dozens of Yemeni civilians, including women and children. The US operation- with support from the United Arab Emirates- was believed to be against a meeting of leaders of al-Qaeda in Yemen. One US officer was killed and three were wounded, and a US aircraft, worth 70 million dollars, was destroyed. The repercussions of this operation are still going on, and the United States did not disclose the kind of documents targeted in this operation.